had a great time at the Bangor Baby Bump and Beyond event this month. there was an eclectic mix of pregnancy and toddler stalls from hypno-birthing to baby reflexology! We had lots of great chats with local mums to be and a few new mums too! we love doing events like this because it enables us to maintain an active role in the community helping to dissipate knowledge out to the general public. Andrea had a few interesting chats, particularly one topic that seemed to arise multiple times was Pelvic Girdle Pain (PGP). PGP is a umbrella term that unifies a number of pregnancy related painful conditions, most commonly we see issues with the sacroiliac joints. Andrea was able to help give useful advice to the mums to be, they all seemed very grateful as some of them were just suffering in silence. 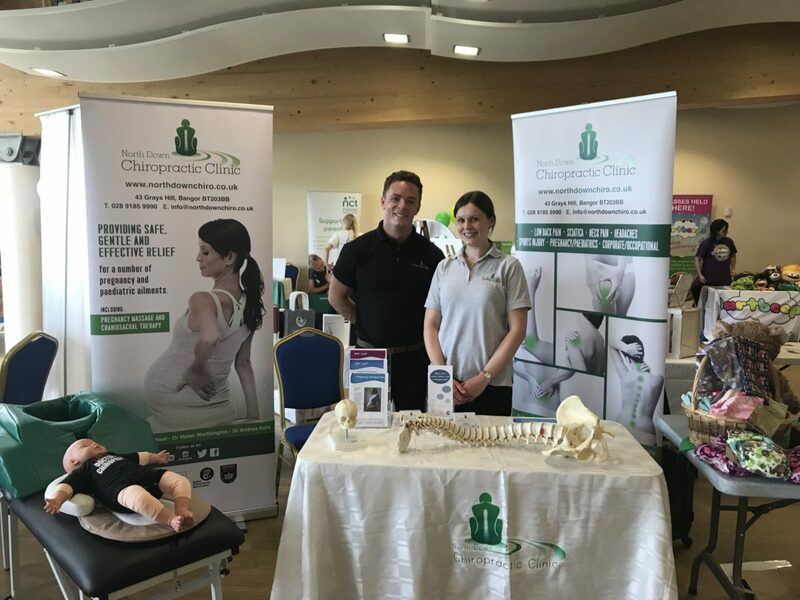 If you are a prospective mum to be and are suffering with lower back or neck pain, why not give us a ring today and see if we can help?